Creative achievement can provide a buffer against being anxious about death, research from psychologists at the University of Kent shows. Creative people, such as newly-announced Nobel Prize for Literature winner Bob Dylan, are often thought to be motivated by the desire to leave an enduring cultural legacy. Through their creative work, creatives such as Leonard Cohen and David Bowie continue to live on in our culture even after passing away. Conversely, the destruction of ancient monuments and artefacts in Iraq in 2015 by members of Islamic State could be interpreted as a symbolic act aimed at achieving high negative impact on society through the destruction of a cultural legacy. Now research, conducted by Rotem Perach, a postgraduate researcher at Kent’s School of Psychology under the supervision of Dr Arnaud Wisman, shows that those with high levels of creative ambition and achievement are particularly likely to be more resilient to death concerns. 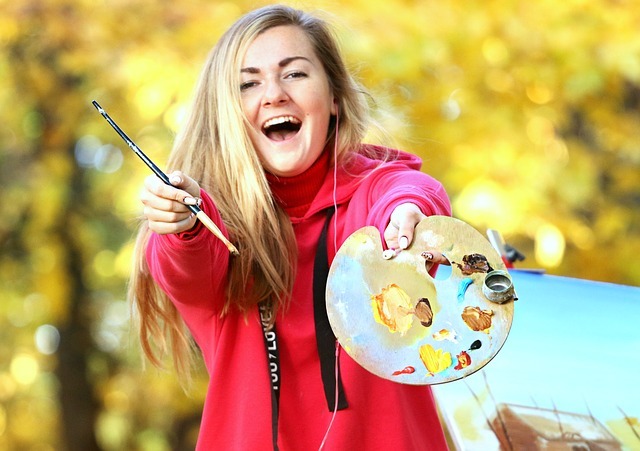 In what is thought to be the first empirical study of the anxiety-buffering functions of creativity among people for whom creativity constitutes a central part of their cultural worldview, the research analysed findings from a group of 108 students. The students completed two questionnaires to gauge their level of creative achievement and creative ambition. Those with a record of creative achievement, coupled to high levels of creative ambition, were found to make less death associations in their thought processes after thinking about their own demise in comparison to those in the control condition. In comparison, among those with low levels of creative ambition – whatever their record of creative achievement – thinking about their own mortality did not affect their levels of death-thought accessibility in comparison to controls. The findings suggest that those who pursue creativity and produce significant creative contributions may benefit from existential security in the face of death.